If you are a mushroom lover, this is a burger for you. This is a different type of vegetarian burger. Usually you see bean burgers or maybe a thickly sliced grilled portabello mushroom for a burger. 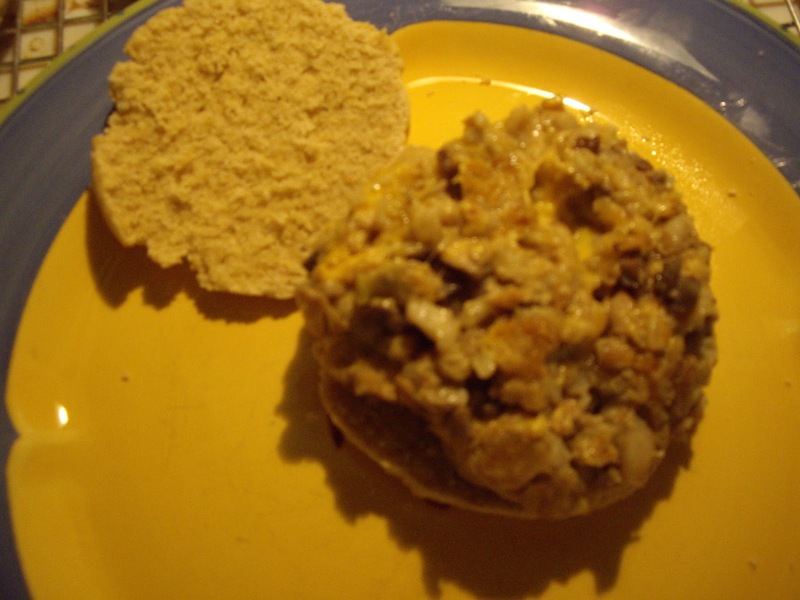 This burger is made with white button mushrooms, brown rice, and cheddar cheese. You can pile them up with all the fixings, but they are moist enough without additional condiments. Plan ahead to make these. The mixture has to chill so it will take several hours between mixing and chilling and cooking. The first time I made these I forgot about the chill time and meal time was a little later than normal. You will need a large skillet for frying. You will also need a mixing bowl. Heat 2 Tablespoons oil in your large skillet. 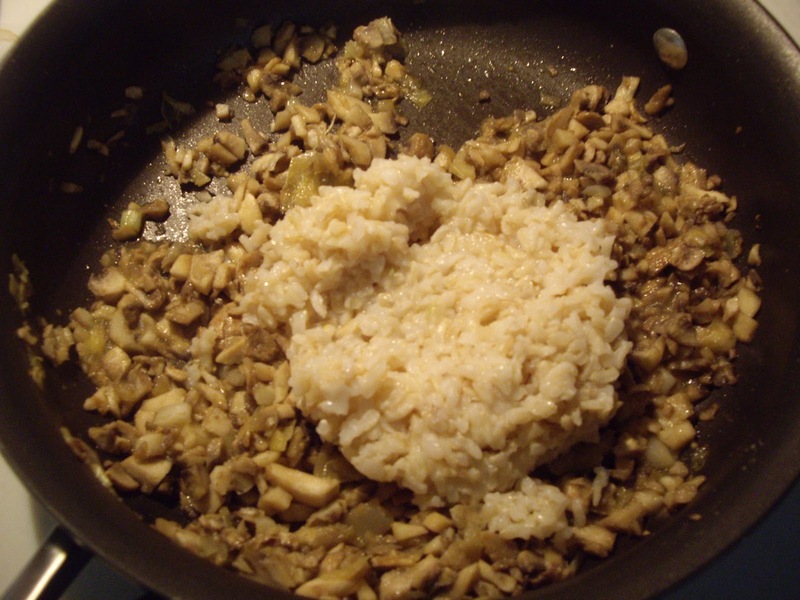 Add the mushrooms and cook until the mushrooms are tender and most of the liquid has absorbed. Stir in the brown rice and cook for a minute. Pour that mixture into your bowl. 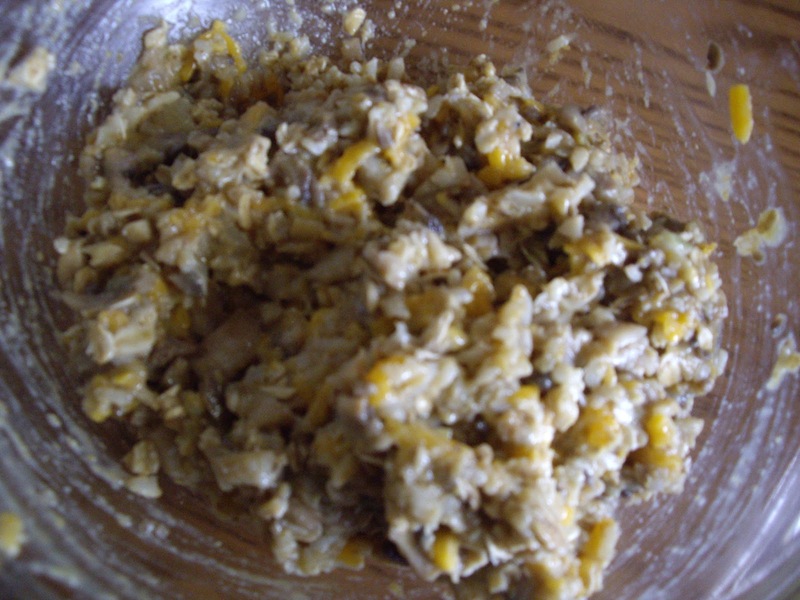 Stir in the oats, cheese, and egg. Add the flax or bread crumbs. You just need the mixture to not be too wet and sticky. Cover and put in the fridge until firm. This will take 3 to 4 hours. When firm, take out of the fridge. 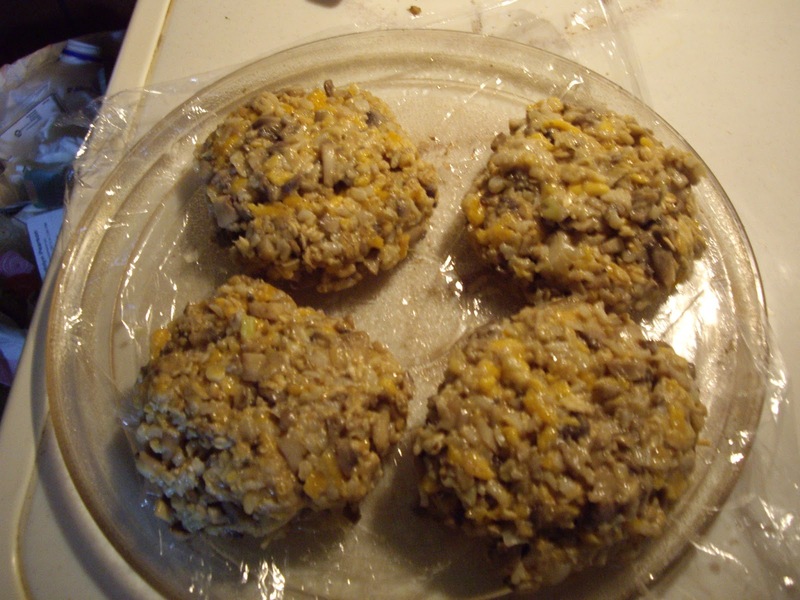 Line a plate with plastic wrap and make the burgers into 4 large patties. They are big so you might want to make 6 smaller ones. Put back into the fridge for another hour. You can also quick chill them in the freezer for 30 minutes. 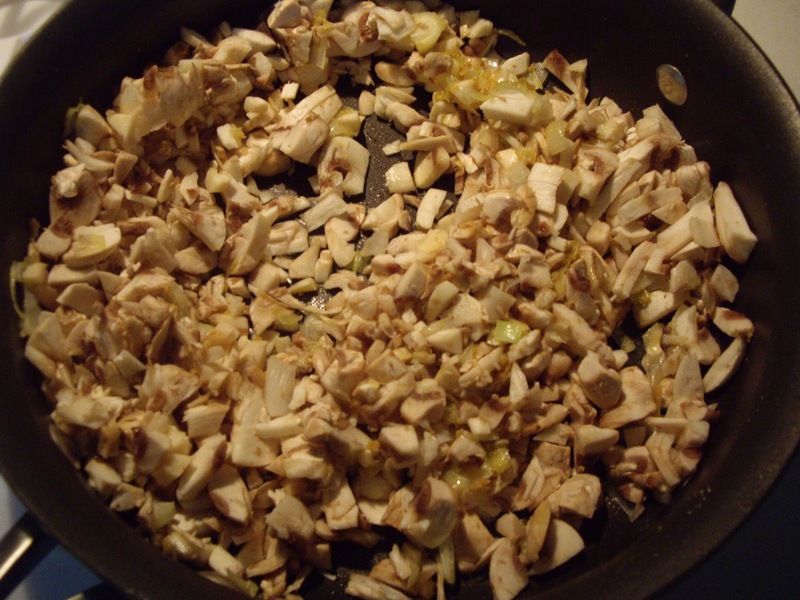 Heat the remaining 2 Tablespoons oil in a large skillet. Add the burgers and cook for about 5 minutes on either side until hot and the outside is browned. Makes 4 to 6, depending on size.